The Devil Finder is one of our most popular vehicles - and it's easy to see why. 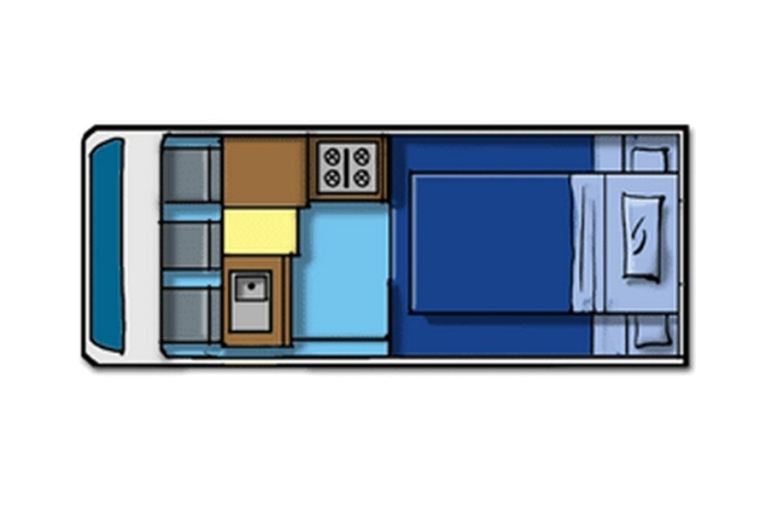 Creative design and clever use of space means 2 - 3 people can travel and live in total comfort. 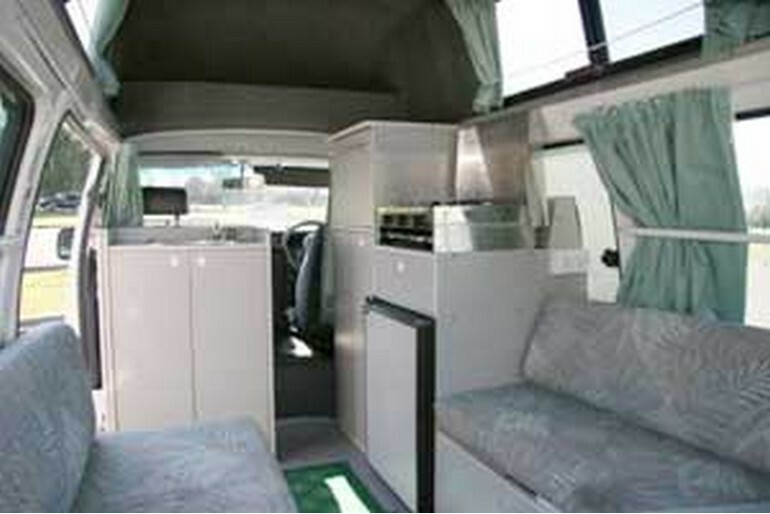 The driving cabin has seating for three with a radio/cassette. 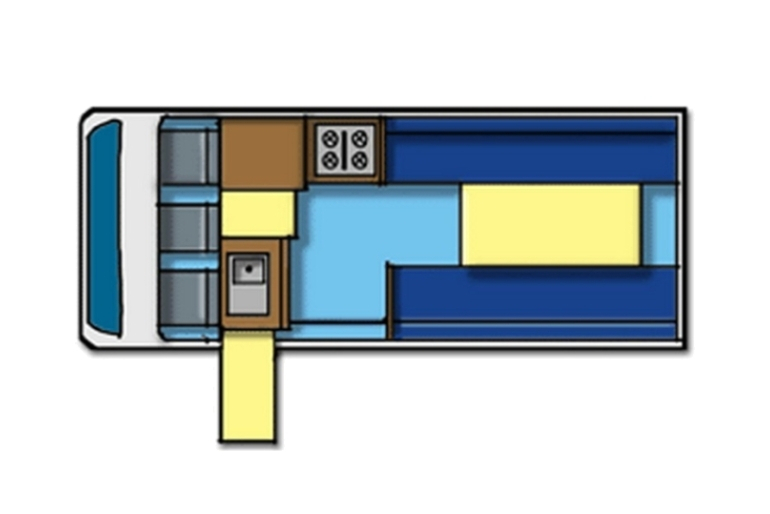 The extra vertical space in the living area creates an airy, spacious feeling and ease of movement - and a good-sized double bed and roomy single make for comfortable sleeping. Every drawer and cupboard reveals a surprise - fridge, stove, wardrobe, crockery, cutlery, linen, towels and much more. With the HiTop Trail Finder you not only get freedom and comfort to travel where you wish, you can also enjoy the economy and ease of an engine running on unleaded petrol with manual transmission. Everything you need to take you to your Tasmaina Adventure holiday. Baby Seat: Baby seat is to be fitted in the middle seat in the driver’s cab. Engine Specifications: 2.4 litre, petrol. 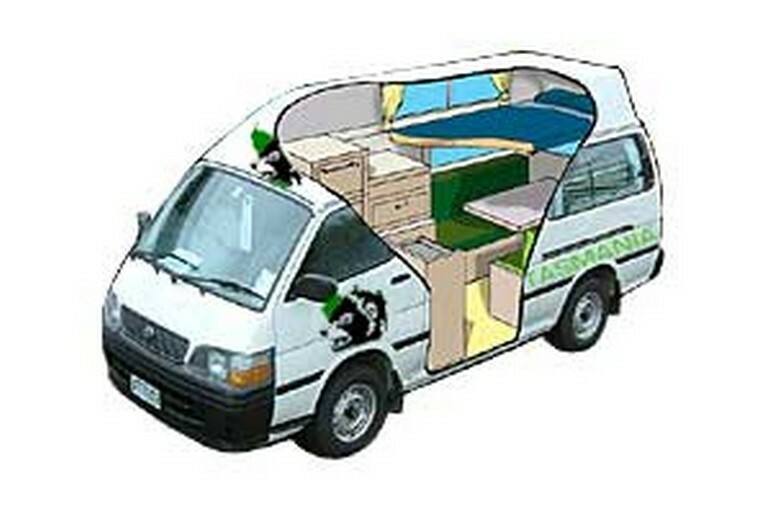 Storage: Ample cupboard space, storage under seats at rear of vehicle. 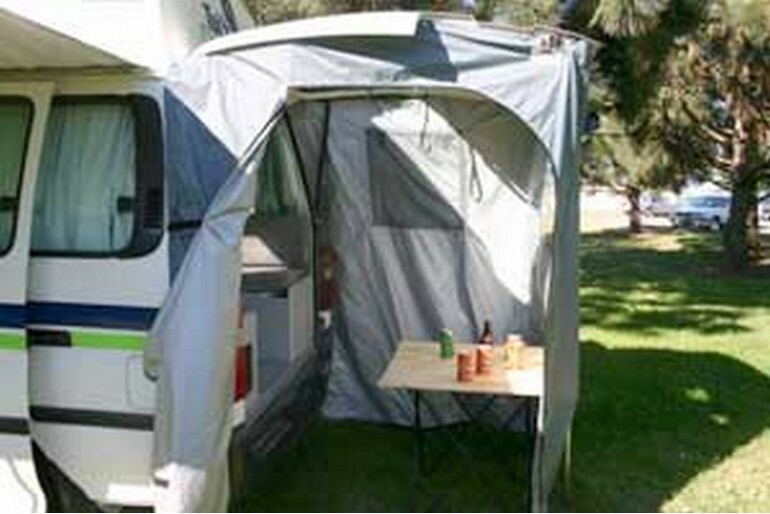 Additional luggage storage at Tasmania Campers Branches.